Power Bank 20000 : Ultra compact Bar 20000mAh battery pack fits perfectly in your hand and pocket, perfect companion for your travelling . Portable charging bank support all smartphones and other smart devices. As the manufacturer, we keep reseaching and developing our products to provide the best products to our customers. What is the input port and output port/s for a portable charging bank ? The input port is used to charge the power bank. Usually it is a Micro USB Connector. The output port is used to charge your phone or mobile device. Usually it is a standard USB connector. Simply plug your device`s charging cable (USB side) into the power bank to begin charging your phone or mobile device. One simple but important reminder. To prolong the battery life, factories only charge battery at 30% to 40% of capacity. Please remind to your client to fully charge the smartphone power bank before usage. 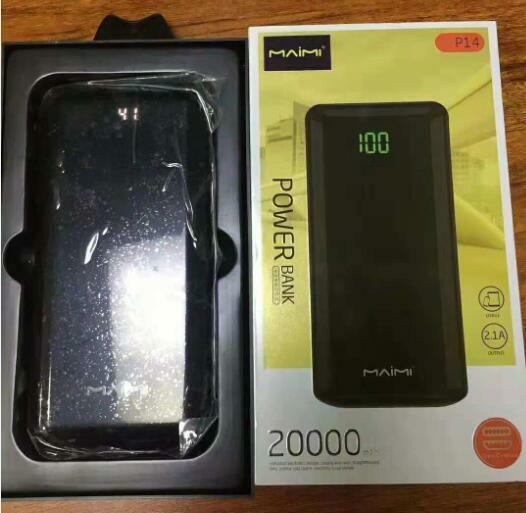 You may do the same before you demonstrate the usage or functions of the power bank 20000 or other capacity to your client. Looking for ideal Power Bank 20000 Manufacturer & supplier ? We have a wide selection at great prices to help you get creative. All the Smartphone Power Bank are quality guaranteed. We are China Origin Factory of Portable Charging Bank. If you have any question, please feel free to contact us.